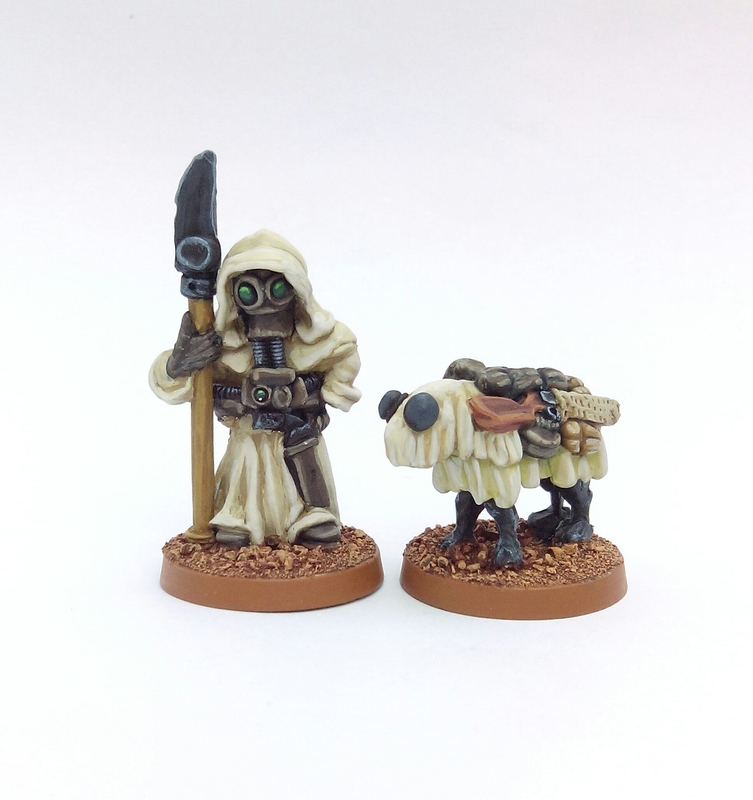 I spotted these from Blind Beggar Miniatures whilst looking for VBCW figures and thought they were interesting enough to buy. 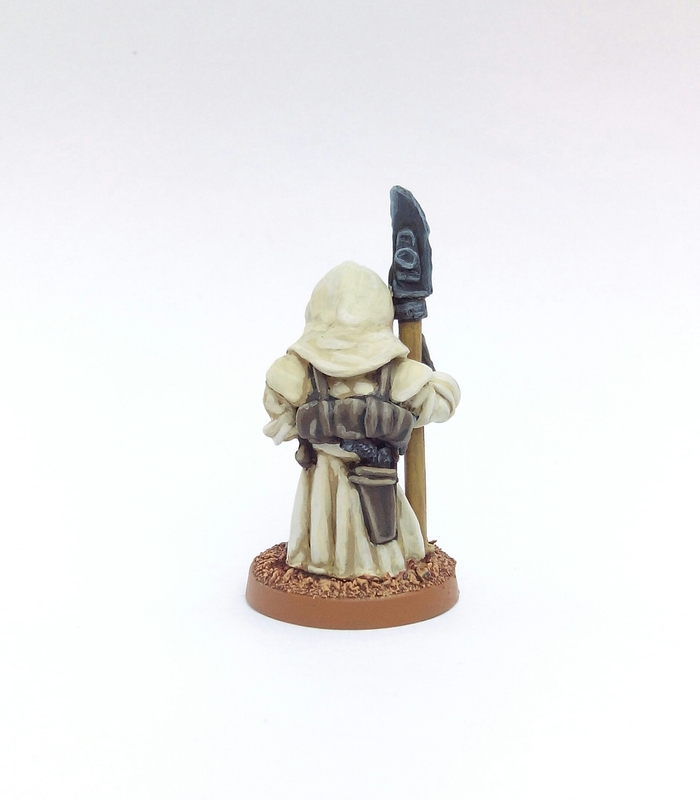 The sculpts across most of Blind Beggars ranges are, without sugar coating it, crude. 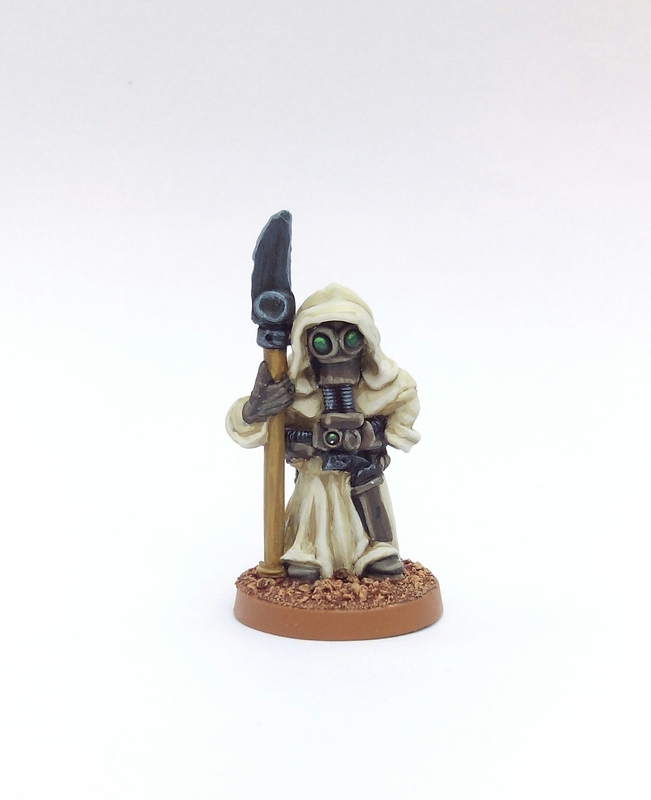 That said they aren’t without charm (or humour, see the Joe and Kaero sculpts and think about the names ‘Joe’ and ‘Kaero’ in a 40K context) so I’ll be looking further into the Sci Fi ranges at least. 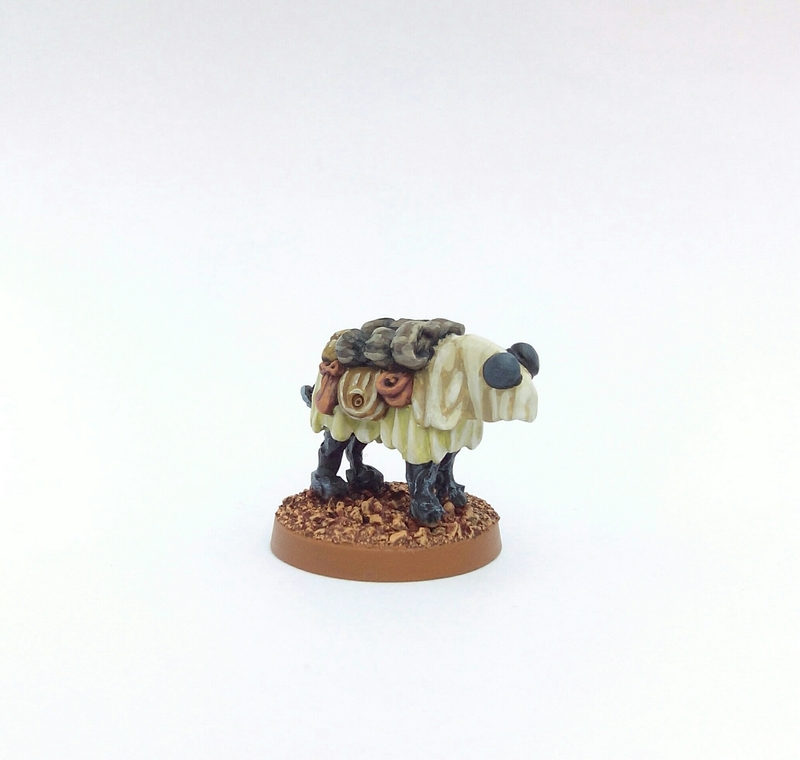 I pictured this miniature as more of a Scavenger than a Bounty Hunter (think about the Teedo or Jawa in Star Wars for example) and it comes accompanied by some form of pack “animal” – possibly mechanical and shrouded to prevent sand damage to it’s circuits and moving parts. 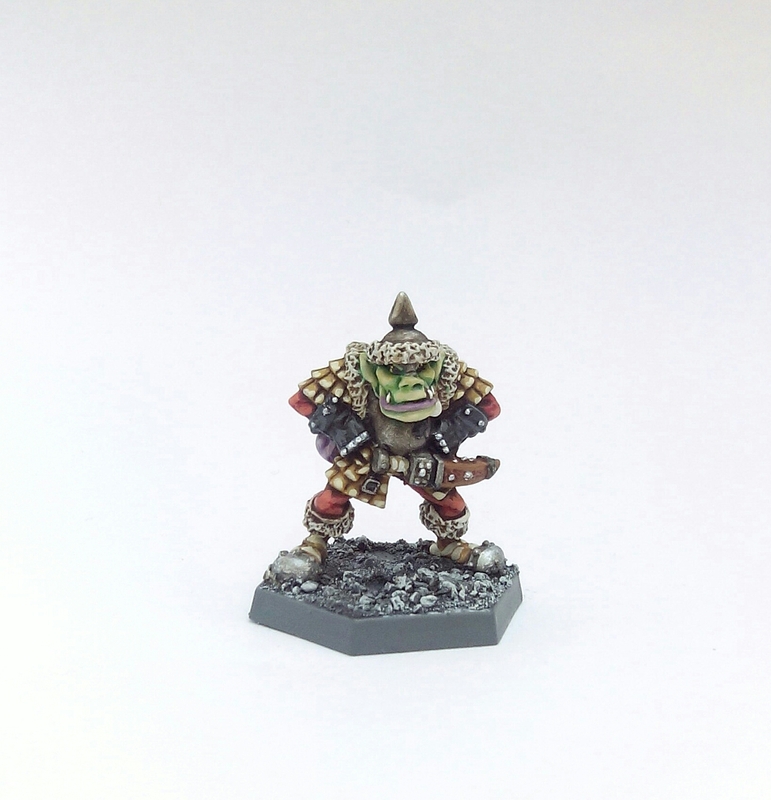 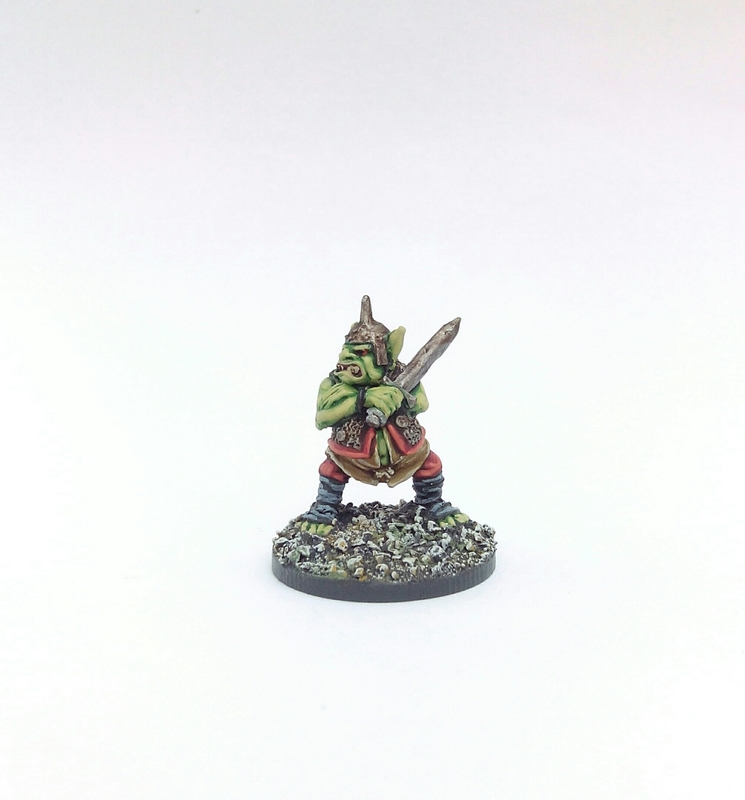 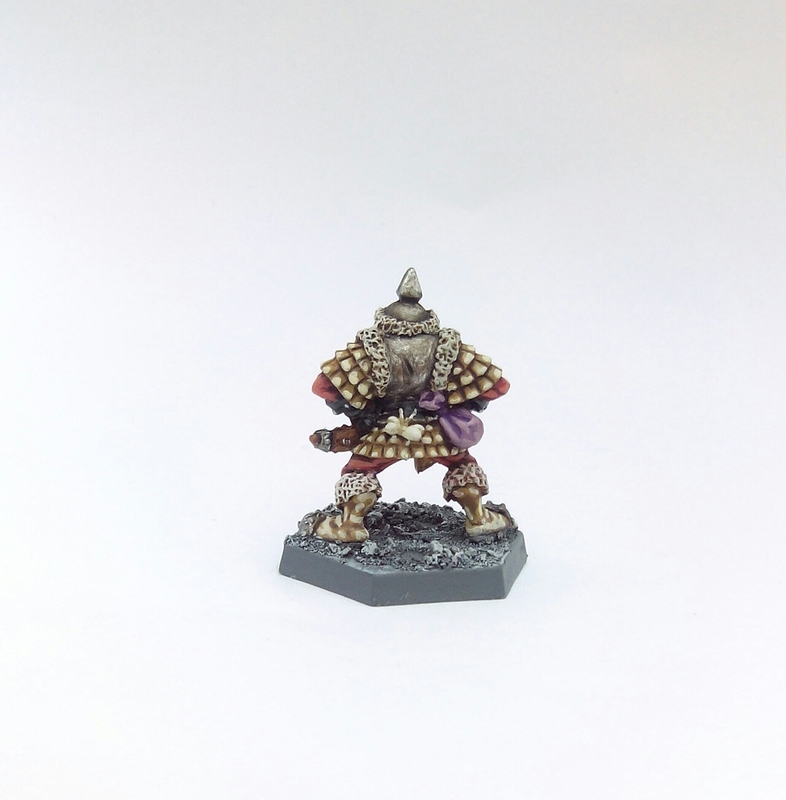 This entry was posted in Post-1990 and tagged Blind Beggar Miniatures, Bounty Hunter, Scavenger, Sci Fi on April 16, 2017 by Hobgoblin Orange. 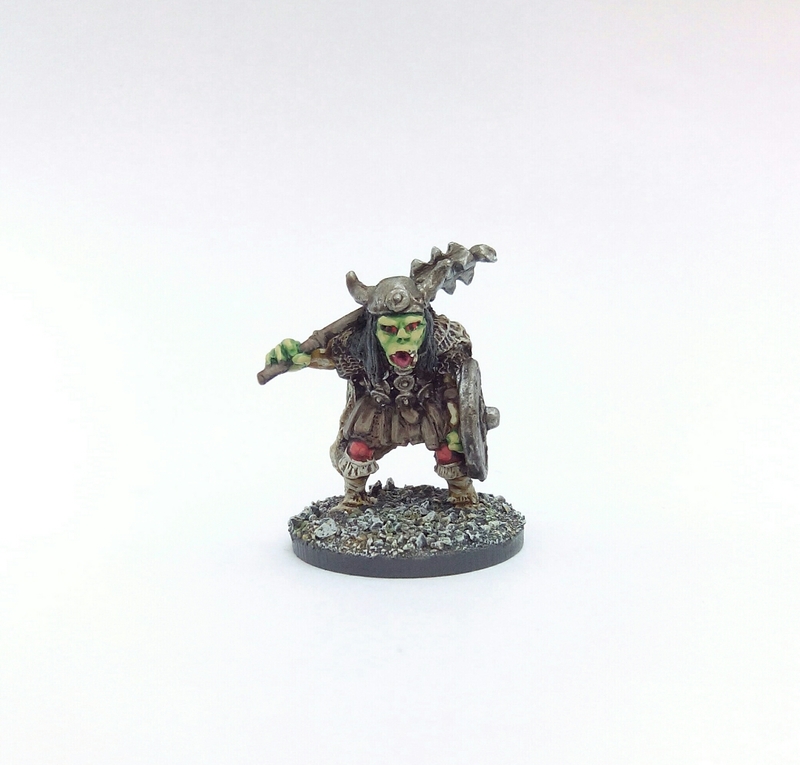 The use of the word ‘werewolf’ in the Frostgrave rulebook is a bit misleading really. 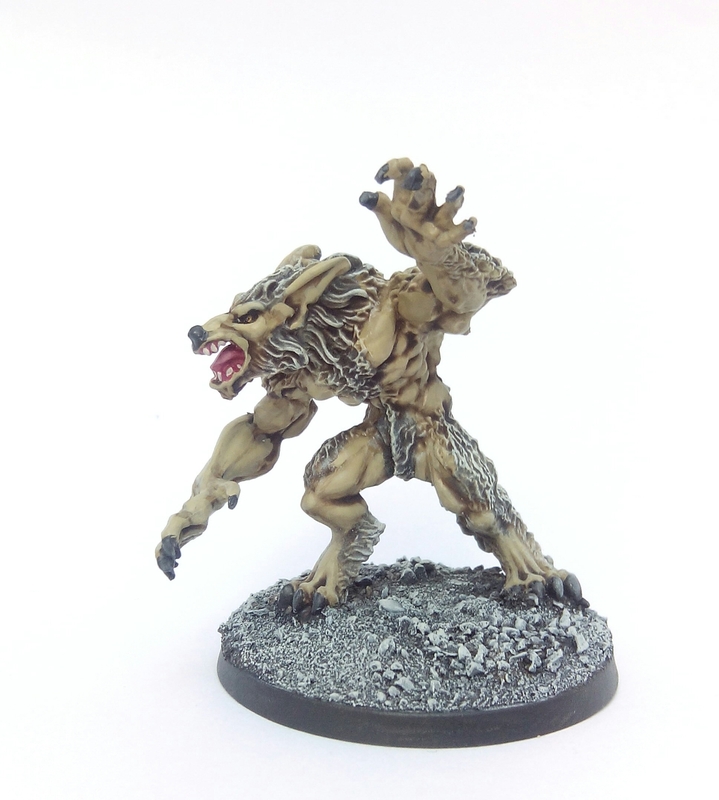 The description says they’re not lycanthropes at all but an intelligent race of man/wolf hybrids. 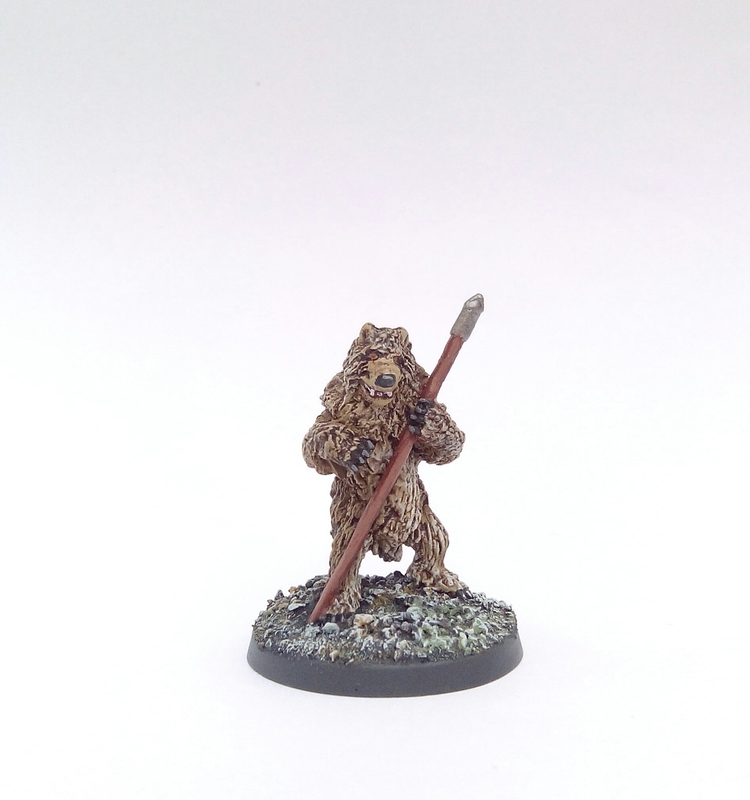 I fondly remember the Wolfen from the Palladium Fantasy RPG back in the 1980s who fulfilled a similar role. 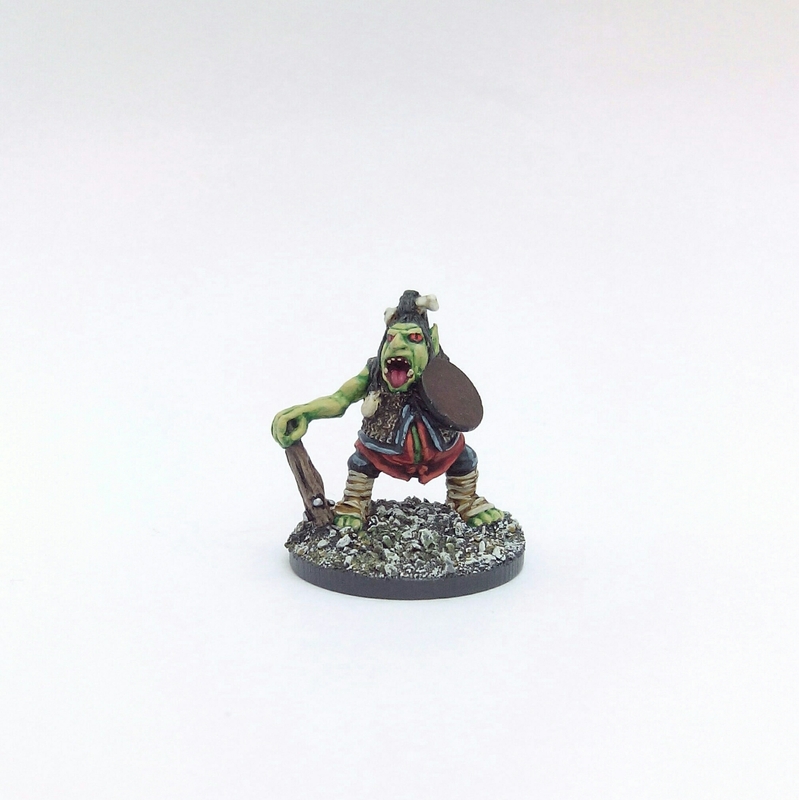 The Vargr in Traveller are an even earlier example of the same sort of creatures. 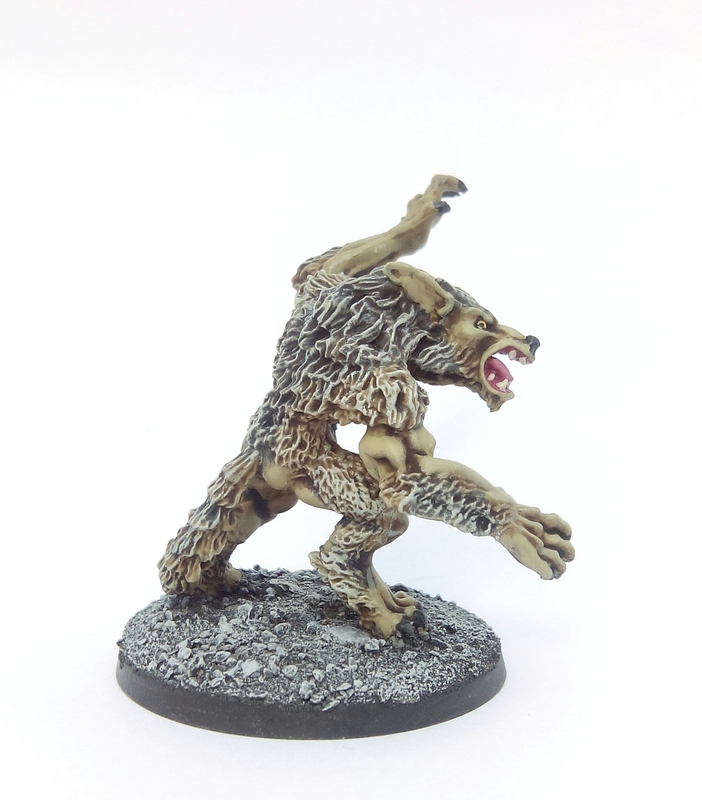 This is a Reaper Bones miniature and is very similar in style to the Mantic werewolves I painted last year. 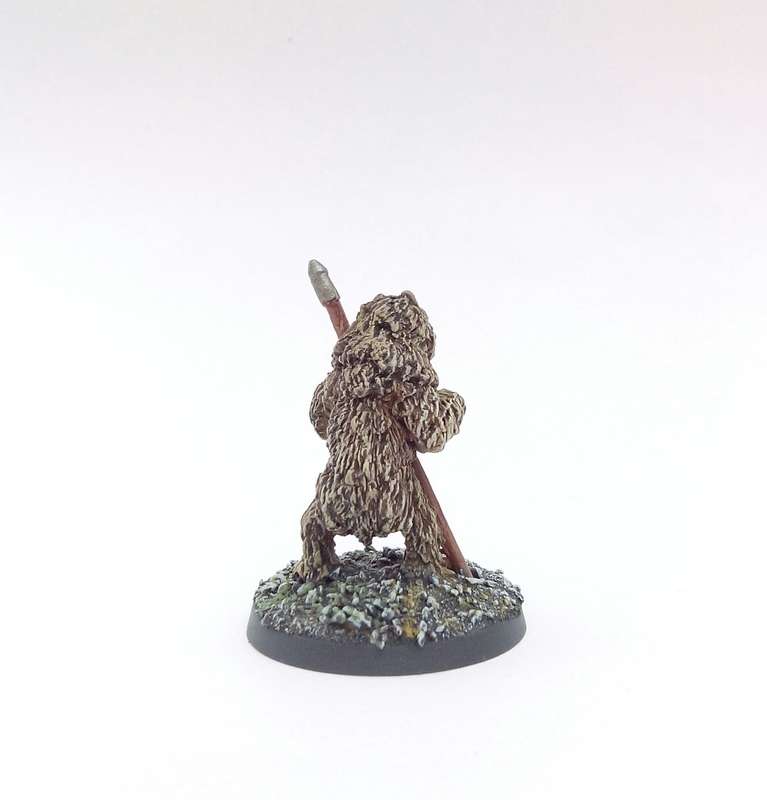 It’s probably a bit big for the Frostgrave interpretation of a lupine humanoid so I may rethink it if I spot a more appropriately sized figure. 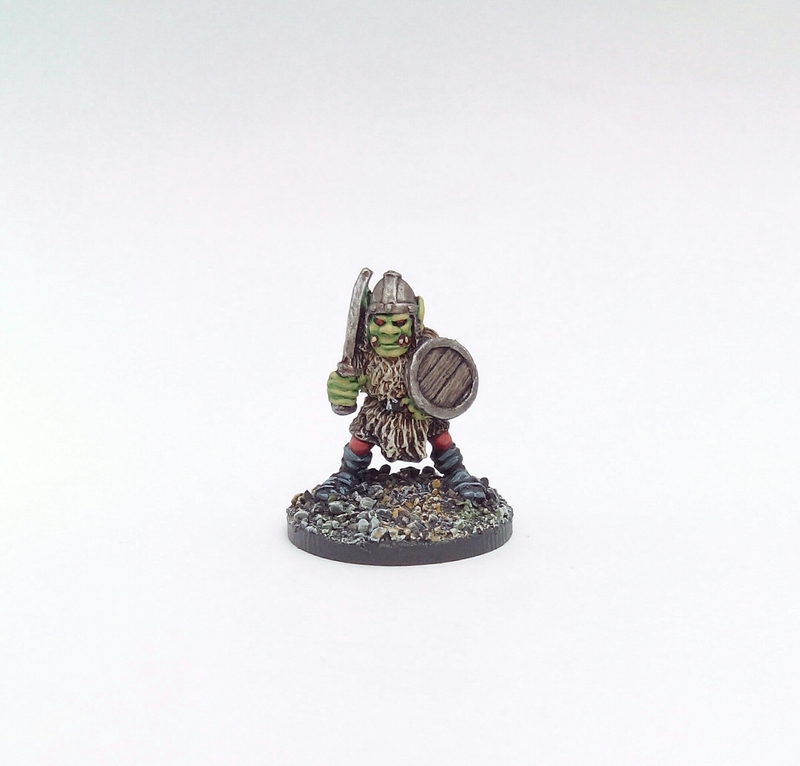 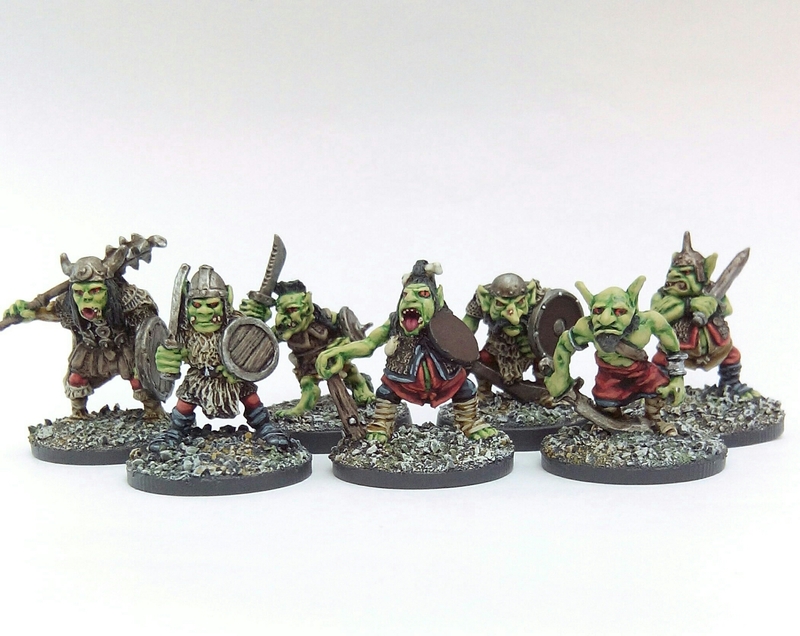 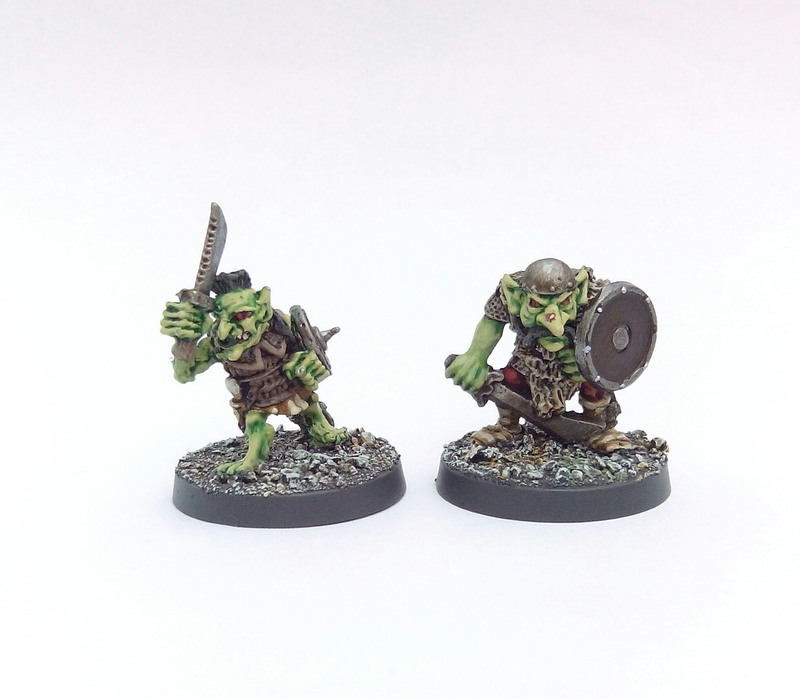 This entry was posted in Post-1990 and tagged Frostgrave, Reaper Bones, Werewolf on April 2, 2017 by Hobgoblin Orange.